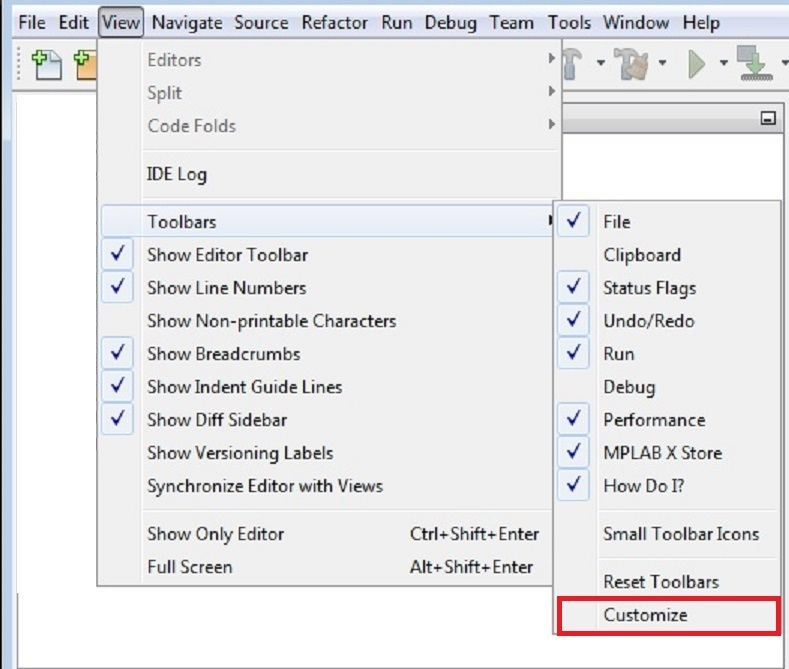 Allows customization of the toolbar icons for easy access inside MPLAB® X IDE. The Customize Toolbars opens up and window shows you the categories of icons available for use. Drag an icon from the Customize Toolbar window to a toolbar. 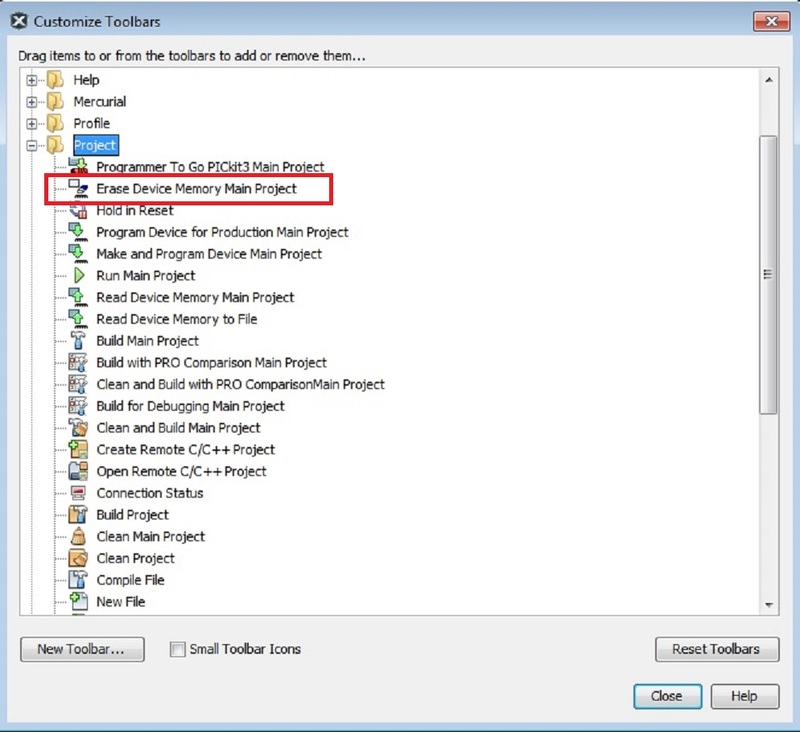 In this example, the Erase Device Memory Main Project icon is selected for moving to the Project toolbar. You can add a new toolbar with the New Toolbar button. The Small Icons button selects smaller icon set. 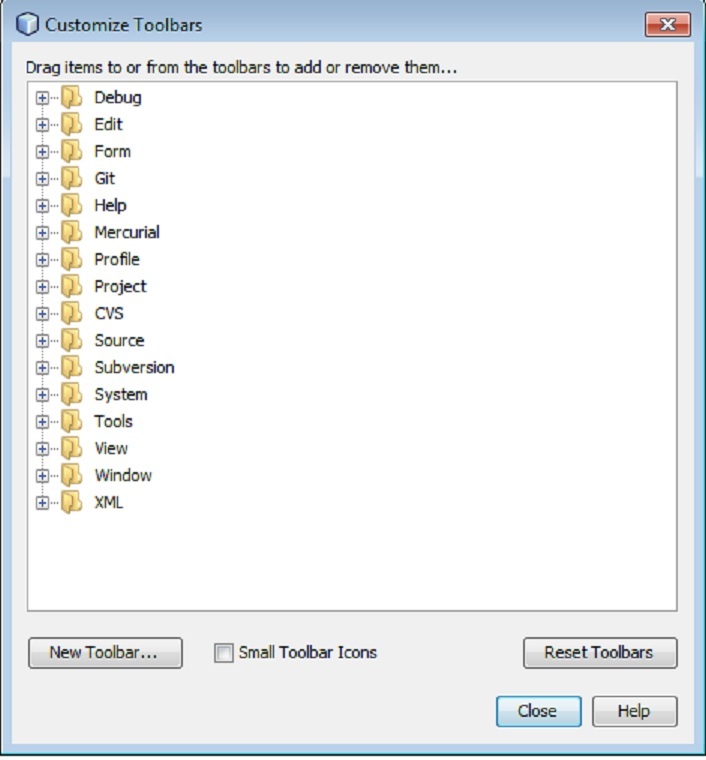 The Reset Toolbars button returns all toolbars to MPLAB X default.